The first Saturday of each month (excluding September) between 10am-1pm we will feature a different single origin coffee to show the coffee’s uniqueness. The last coffee tasting for the day will start at 12:45 pm. 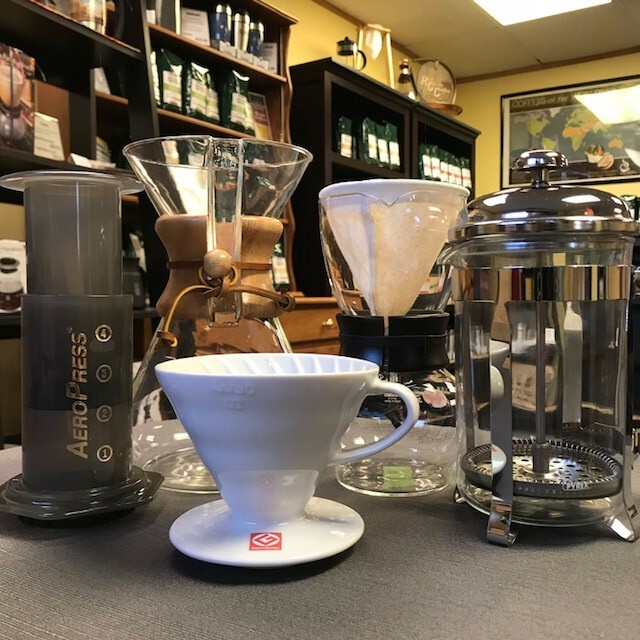 If you ever had an interest in learning more about coffee, regions, or how to brew using different coffee brewing methods, then our coffee tastings are for you! Stop in and share a fun experience while learning how to improve your coffee brewing skills. We will announce the featured coffee for each coffee tasting prior to the event in our Tasting Room, on social media and in our monthly newsletter. Please be advised that these are standing room only events. 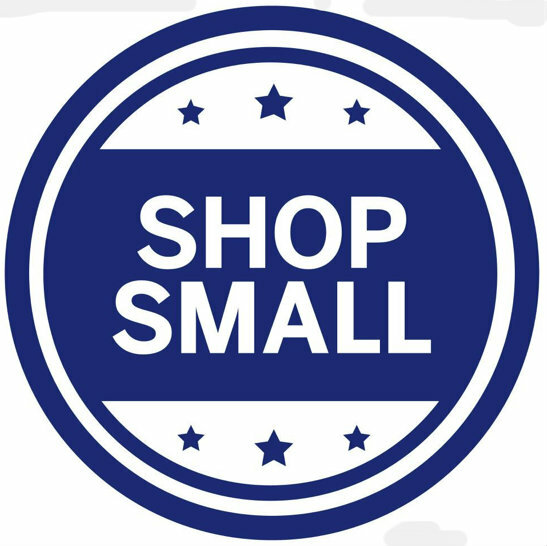 December 20, 2018 /by Anne D.
Join us for some coffee fun on Saturday, November 24, as we celebrate Small Business Saturday. Stop by our Tasting Room in Berea between 10am-1pm (last tasting begins as 12:45pm). We will be featuring our La Lia Finca Dragon brewed using pour over methods. 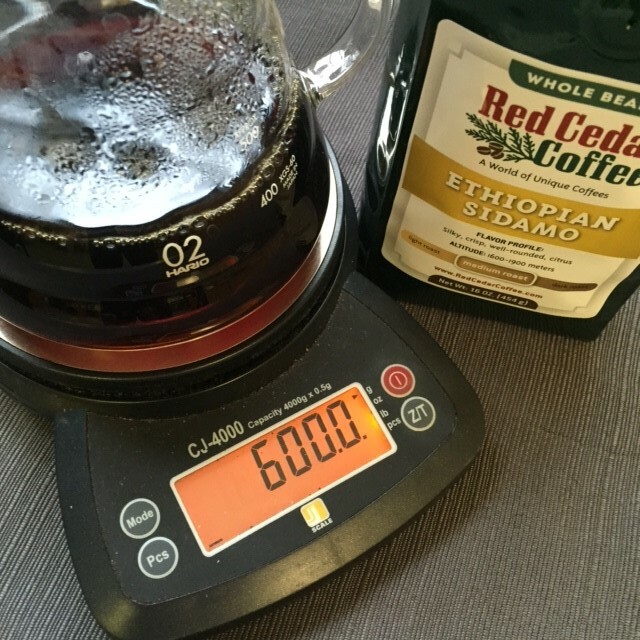 This coffee comes from one of our direct trade partners in Costa Rica. It’s a fun opportunity to learn more about pour over coffee brewing, and why we like our Finca Dragon. We look forward to hosting you! 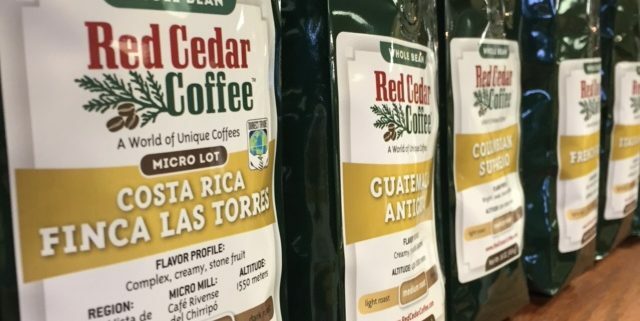 November 5, 2018 /by Anne D.
We are pleased to announce the 2018 Coffee Tasting dates for Red Cedar Coffee Co. The first Saturday of each month (excluding September) between 10am-1pm we will feature a different coffee to show the coffee’s uniqueness. The last coffee tasting for the tasting day will start at 12:45 pm. If you ever had an interest in learning more about coffee, regions, or how to brew using different methods, then our coffee tastings are for you! Stop in and share a fun experience while learning how to improve your coffee brewing skills. We will announce the theme for each coffee tasting prior to the event in our Tasting Room, on social media and in our monthly newsletter. December 29, 2017 /by Anne D.